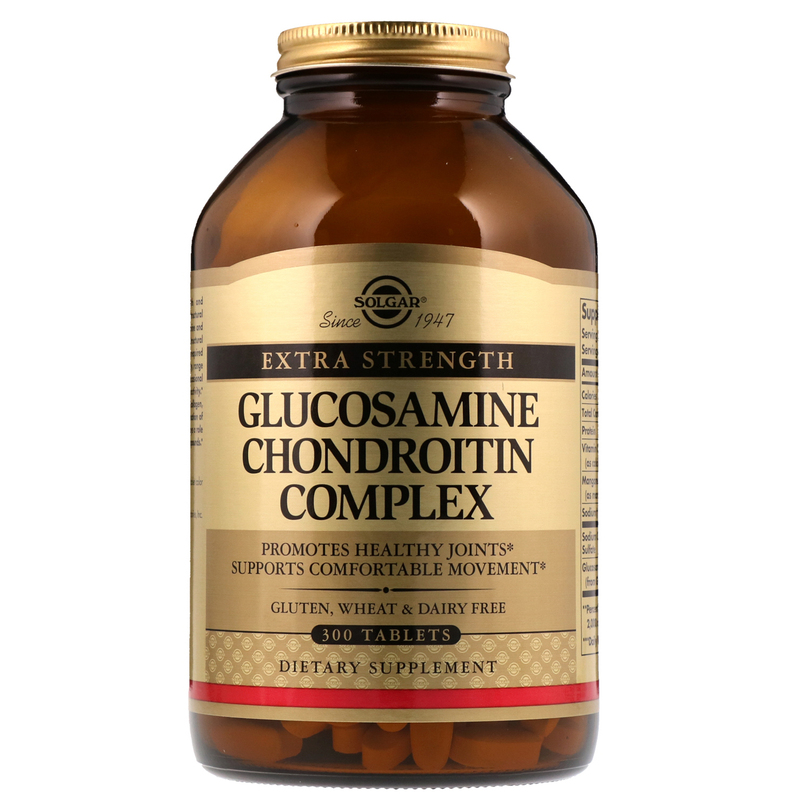 Glucosamine promotes joint health and nutritionally works to promote the structural framework of healthy joints. Glucosamine and Chondroitin both provide the essential structural material glycosaminoglycans which are required for healthy cartilage, promoting mobility, range of motion, flexibility and easing of occasional joint stress due to exercise or physical activity. Vitamin C is involved in the formation of collagen, which is a protein essential in the formation of tendons and ligaments. Manganese plays a role in the production of healthy cartilage compounds. Vegetable cellulose, microcrystalline cellulose, silica, vegetable magnesium stearate, vegetable stearic acid, vegetable glycerin. Contains shellfish (crab, shrimp, crayfish and lobster). 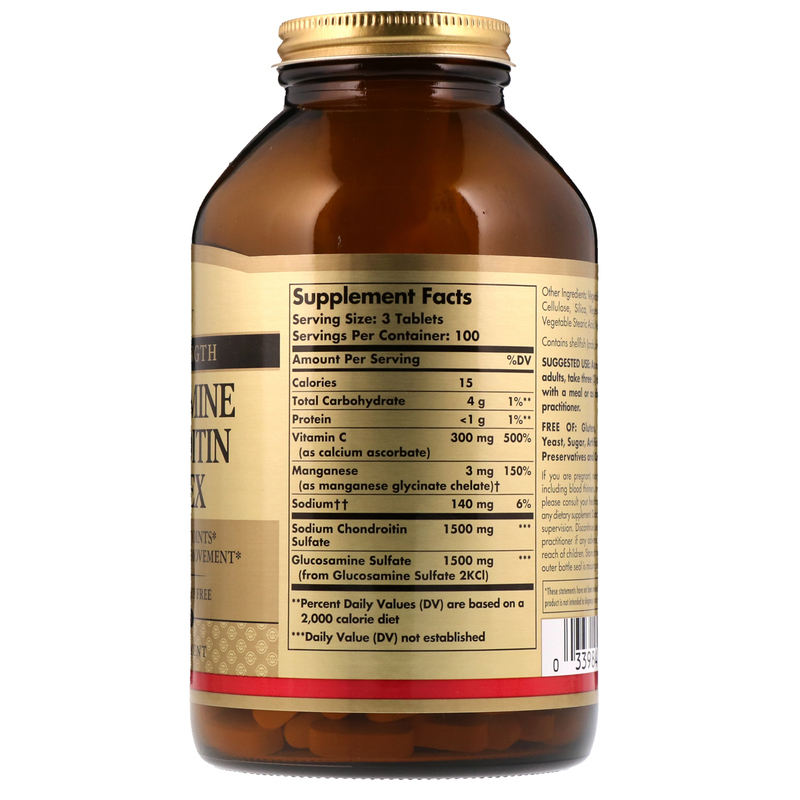 If you are pregnant, nursing, taking any medications, including blood thinners, or have any medical condition, please consult your healthcare practitioner before taking any dietary supplement. Diabetics, use only under a physician's supervision. Discontinue use and consult your healthcare practitioner if any adverse reactions occur. Keep out of reach of children. Store at room temperature. Do not use if outer bottle seal is missing or damaged.